Allow 2 kids to do painting works at the same time. 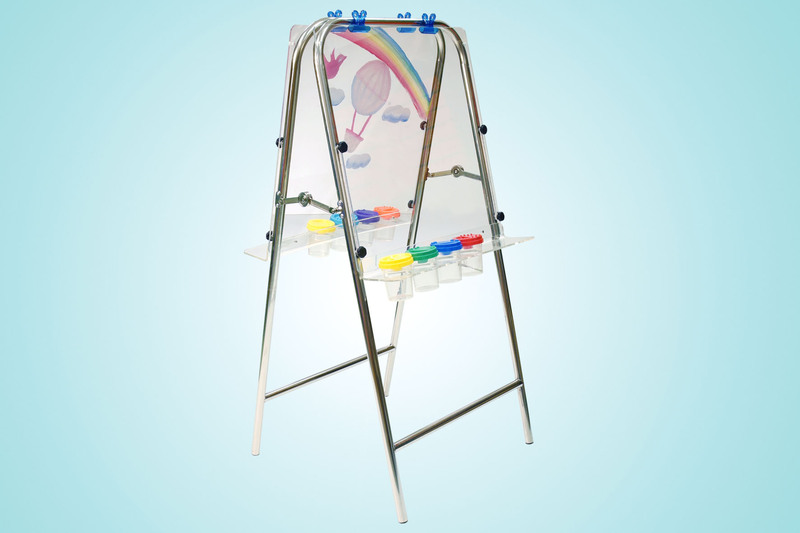 The transparent board allow painting on it directly (using wipable ink or marker). The special designed storage makes the no-spill painting cups and painting brushes well organized.